Renowned as a much-loved and highly respected journalist and broadcaster with thirty years' experience, Sian Williams has studied the impact of acute stress for many years and is also a trained trauma assessor. 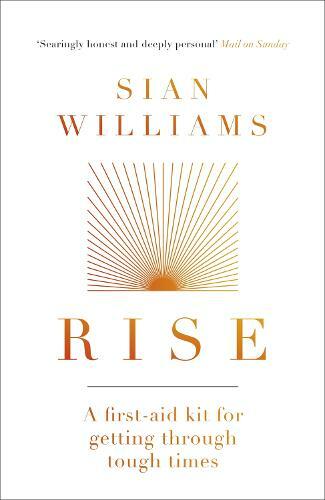 In RISE, she explores the science of resilience and growth after trauma, offers advice from the experts, and learns from those who have emerged from horrific experiences, feeling changed yet stronger, with a new perspective on their life, their relationships and their work. She also documents her own path through breast cancer, with candid and unflinching honesty. Her story provides a narrative thread through a book designed to help others deal with all manner of adversity, including physical or mental ill health; loss of a loved one; abuse and post-traumatic stress. RISE is a deeply researched exploration of trauma, grief and illness, and most importantly resilience in the darkest of days. It is an inspiring and powerful piece of work, full of honesty, warmth and wisdom.